Photodynamic therapy (PDT) uses a light and a light activated medication (photosensitizing medication) that destroys the problem skin tissues. When the photosensitizing medication is applied to the problem skin tissue and activated by light, the medication produces a toxic reaction that damages the unwanted skin cells. The body will naturally shed these cells producing newer, healthier skin in their place. Levulan is a type of medication that does just this. 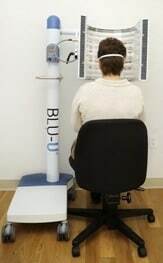 Once the medicine has had time to incubate on the surface of the skin this gives enough time for the abnormal skin cancer cells to take up the medication (normal cells will not in such a short period of time ie., 4 hours) and then when Blue Light activates the medication, this in turn destroys the skin cancer cells. What Conditions Does Photodynamic Therapy Treat? At DermMedica, the average Photodynamic Therapy appointment is 5-30 minutes. Patients are scheduled for a quick 10-15 minute appointment early in the day to receive the application of the photosensitizing medication. Patients can then leave the office while the medication incubates and then return in 2-3 hours for the blue light activation treatment. 7-10 days – Common effects during recovery of a Photodynamic Therapy treatment include redness, flaking of the skin, tenderness and irritability. Patients are advised to avoid excessive sun exposure and maintain healthy skin moisture as an important part of the recovery process. Younger, softer, smoother skin is the expected result of a Photodynamic Therapy treatment. Best results are achieved after 2-3 sessions and may require more treatments depending on the severity and scope of the condition being treated. DermMedica is your home for skin and laser treatments in Kelowna. A wide range of premium treatments are available here for many skin conditions and symptoms. We are primarily a laser & skin care clinic, though additional treatments are available to target problems such as stubborn fat, hair and tattoos. Whether you’re suffering from a genetic skin condition or external skin damage, we have treatments that can improve the look and feel your skin. You can learn more about any of our common treatments by clicking on the links below. If you have any questions, please call our clinic and request an appointment. The Fractional CO2 Laser works on the principle that skin cells are mostly water. By heating these cells precisely with laser energy, water can be evaporated without causing lasting damage to the skin. The layer is naturally removed by the body, and fresh skin cells are created to become the surface layer. In this way, damage to skin can be effectively hidden or diminished. DermMedica is here to help if you want to get rid of unwanted hair. By targeting and destroying the follicle at the root, hair can be removed selectively. Over repeated treatments, the hair follicle can be completely destroyed, making the hair loss permanent. Learn more about this treatment on our laser hair removal page. While many people love this treatment for their legs, it’s also very effective on other parts of the body. Unwanted hair can be removed from the pelvis, underarm and even face. These treatments are incredibly effective under the right conditions, but you’ll need to visit our clinic for a consultation to determine if it’s right for you. Acne, skin cancer and more can be diminished with our Erbium Laser treatments. By warming water in the skin, new, fresher layers are exposed. Learn on our treatment page how Erbium lasers can renew your skin. Our IPL Laser treatment is a versatile approach to conditions ranging from brown spots to sun damage. This laser uses a spectrum of light instead of only one wavelength, so it may be effective for spots you’ve had trouble treating in the past. Some abnormal skin cells causing acne and early skin cancers can be treated with Photodynamic Therapy. By using a light-activated medication, problematic cells can be targeted specifically while leaving normal cells intact. Several tattoo removal lasers are used at DermMedica, including one that is among the most powerful in the world—The Fotona QX MAX. Our premium lasers allow us to treat stubborn and difficult tattoos more effectively than ever before. The Fractional Affirm Laser treatment is a treatment that does not remove skin. Instead, it gently heats skin to stimulate new collagen production. It can treat wrinkles and scars, and can also be used to tighten skin. Chemical peels gently remove dead surface skin cells so that newer, younger ones can rise up and take their place. It’s a simple procedure, and involves a chemical application that rarely takes longer than half-an-hour. While irritation may result, there are rarely any serious side effects to chemical treatments. Find out more on our chemical peel treatment page. Botox is a common treatment for many cosmetic problems, and few skincare doctors around British Columbia can match the experience that Dr. Crippen brings to Botox treatments. He has been treating patients with Botox for more than ten years, and now injects more Botox per year than anyone else in the BC interior. Appointments often take the form of simple injections with little pain or downtime. If you’d like to find out how we can help you with our Botox treatments, visit our Botox Page now. Appointments may be completed in minutes, and the results can last for as long as several years. We would love to hear from you if you are interested in these treatments. Alternatively, you can learn more here on our Juvederm page. Double chins can now be treated with the brand new Belkyra treatment. US-based patients may know this treatment by the name Kybella. By either name, it is effective at targeting and diminishing the appearance of fat under the chin. For underarm sweat reduction or elimination, MiraDry offers a completely new solution. This comfortable one-hour treatment can remove a significant amount of the sweat glands located under in the armpits, reducing underarm sweat permanently in just one session. Our Sclerotherapy vein injection treatment is a simple, 10-minute procedure that can stop problematic varicose and spider veins so that they can be broken down and completely absorbed by the body. Additional benefits include reduced swelling and pressure. Please speak to us about your skin desires, so that we can help build an effective plan for the skin you want. We have other treatments than those listed here, including the facial volume improving DermaLift procedure that is performed exclusively by Dr. Crippen. Those aren’t the only treatments we offer. Our clinic also carries a large supply of skin care products, uncommon laser treatments, fillers and other services. Please call for an appointment to learn more about your condition and how we can help. A new type of treatment called Coolsculpting can freeze cells just under the skin so that stubborn fat can be dissolved and removed naturally by the body. Learn more, and see some images of patients who have tried Coolsculpting. How Much Are Your Skin and Laser Treatments? Every treatment is customized to the needs of the patient, so it is impossible for us to post prices for our treatments. If you come in for a consultation, we’ll be able to tell you what we offer, and how our treatments can help you. We can treat many more conditions than just those you see listed on this page. Are You Fully Licensed for All Your Treatments? Yes, absolutely. A full list of the qualifications and certifications of Dr. Craig Crippen can be found right here. For nearly every treatment we offer, you can see some before/after images from our own clinic. Just visit the page for any of our individual treatments. What Kind of Home Skin Products Do You Carry? We have a great selection for both general use and special needs. Our recommend products can all be found here. We can answer any questions you have about these products if you visit our clinic. How Many Types of Lasers Do You Currently Have? We have about a dozen lasers to treat all sorts of skin issues both medical and cosmetic. It’s important that your derm clinic has access to a wide variety of technologies. You can’t treat everything with just one device. Are Your Lasers Treatments Effective for Problems That Are the Result of Age? Yes, we have a few lasers for this including our Fractional CO2, Fractional Affirm, Erbium, Q-Switched and other lasers/light devices. 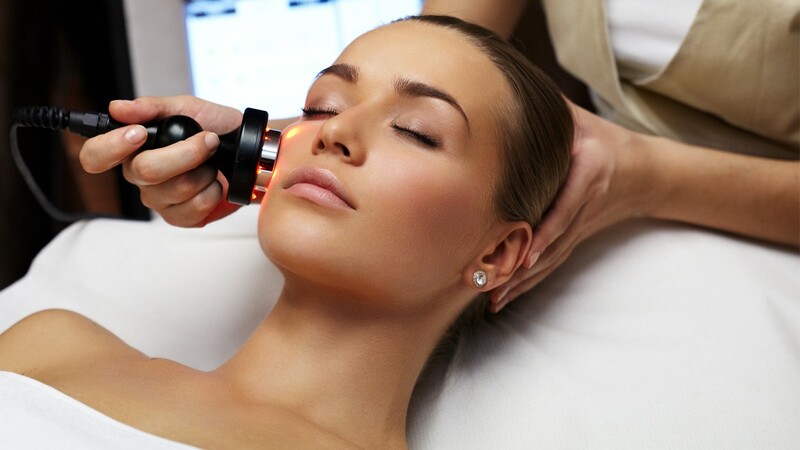 Are Your Lasers Effective for Problems Caused by Damage to the Skin? There are many reasons for damaged skin and yes, we likely have a solution! If we don’t, we’ll tell you where you need to go. What Is Your Newest Laser Procedure, and How Does It Help? Our latest exciting procedure is miraDry for permanent underarm sweat reduction. Most patients need 1-3 treatments and you can then enjoy a lifetime of little to no sweating. Will You Let Me Choose Which Laser I Want for My Treatment? Absolutely not. You need to see a physician who has a lot of experience with lasers to determine the best one for your situation. Any clinic that lets you choose the treatment is unprofessional to say the least. It takes many years of study and experience to become familiar with these devices. Our patients come to us because we know what we’re doing. Can Your Laser Treatments Treat All Areas of the Body? Sure? There are so many treatments and skin conditions that we likely have a treatment for what you have but of course, we need to see you first! What Should I Bring to a Consultation About One of Your Skin or Laser Treatments? Bring your skin and all your medical history and skin care information. We want to know as much as we can about you before suggesting any treatment options. What are freckles, brown spots or age spots? Brown spots, also known as “liver spots” are flat, brown-black spots that usually appear on the skin in sun-exposed areas of the body. Despite their nickname, they have nothing to do with the liver or liver function. Age spots may range from freckle-size to more than a half inch (1 cm) in diametre. Age spots are sometimes grouped together, making them more prominent. Here is a short video demonstrating laser removal of freckles or brown spots that occur from sun exposure. They immediately turn white after treatment and then the freckle falls off the skin in about 5 days after the treatment. Usually one treatment is required but each person is unique. The pigment in the upper layer of skin (epidermis) that gives your skin its normal colour is called melanin. UV light accelerates the production of melanin, creating a tan which helps protect deeper layers of skin from UV rays. Age or brown spots are normally caused by years of exposure to ultraviolet (UV) light from the sun. The use of commercial tanning lamps and tanning beds can also contribute to the development of brown spots. These will be most noticeable in areas that were heavily exposed like the back of your hands, top of your feet, your face as well as your shoulders and back. On areas of the skin that have years of frequent and prolonged sun exposure, age spots appear when melanin becomes “clumped” or is produced in particularly high concentrations in one area. In addition to sun exposure, simply becoming older can cause the extra production of melanin. Your genetic makeup may also play a role in how susceptible you are to the development of brown spots. It is interesting to note that over time pigmented spots usually decrease in number with advancing age. When should I see my doctor about my age spots? You may not appreciate the way in which they look, but brown spots are usually harmless and don’t require medical care. However, your doctor should evaluate spots that are dark or have changed in appearance, because these changes can be signs of melanoma, a serious form of skin cancer. What Are the Treatments for Brown Spots? There are numerous treatments available for brown spots, take a look at the links below for more information. Dr. Crippen can determine what treatment is right for you. Make a consultation with a member of our staff today if you would like to discuss your age spots and how we can treat them. Are Brown Spots Treated with Lasers? Yes. Several of the treatments listed in the treatments above are laser treatments, and they will be considered and used if the brown spot we’re treating requires it. Lasers are a flexible treatment option that can manage spots of many different sizes and colors. How Many Treatments Are Necessary to Remove a Brown Spot? It may take anywhere from one treatment to several to remove most brown spots. The number of treatments may depend on the size, age and color of the spot, as well as the strength of the treatment you’ve decided to pursue. How Long Will It Take to Recover from a Brown Spot Removal? Our treatments are mostly non-invasive, and we don’t use them at an intensity that would require you to bandage any area. After any of our treatments, you’ll be able to return to your regular work. All that you’re required to do is keep out of direct sunlight and manage minor tenderness and irritability of your skin for anywhere from 3-10 days. How Do I Get Rid of Sunspots and Seborrheic Keratosis? Sunspots and sk lesions are two completely different entities. To remove “sun spots” one is usually referring to lentigos which are flat brown pigmentations in the skin on sun exposed body parts. For these kind of benign lesions, IPL treatments as well as other laser treatments can be beneficial. For seborrheic keratosis, a combination of surgical excision and laser therapy is usually recommended. What Is the Best Way to Get Rid of Facial Brown Spots? Laser treatments can be very effective for flat brown lengitos on the face. IPL or another kind of laser can be used with minimal downtime and good long lasting results. They can however return at any time and more quickly with sun exposure. 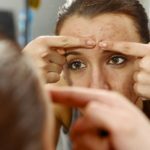 What Do Dermatologists/Cosmetic Surgeons Recommend for Age Spots? Age spots come in all sorts of varieties and it really depends on the patient’s particular situation. We usually use a combination of laser and surgical excision methods. What's Causing the Brown Spots on My Face? How Can I Stop It? Decreasing your exposure to the sun and UV light rays will help slow down their progression. Using a good sunscreen can also be quite useful to lessen the appearance of brown spots on the face. What Is the Average Cost to Remove Brown Spots? The cost varies depending on the situation and the types of lesions to be removed or improved. We usually recommend a formal consultation to give patients an accurate quote as this is the best way to assess each individual situation. What Are the Best Laser Treatments for Darker Skin? Brown Spots, Lines and Skin Tightening? These are widely different treatment for various skin types and issues so there is a long list of possible treatment. 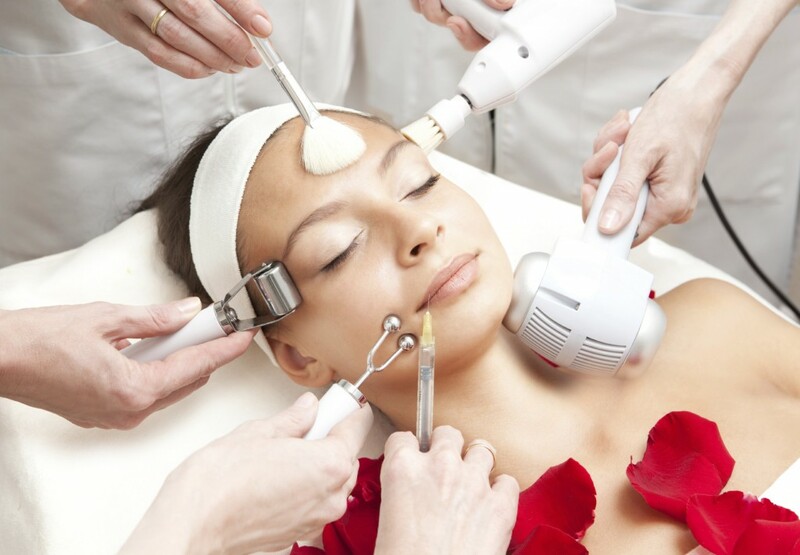 For darker skin, the treatments can range from lasers for colour, texture and more. The best overall treatment for these skin problems is the CO2 laser treatment, our DermaPeel. It address all of these at the same time however there is some downtime to the treatment as we are removing skin so there is some redness and swelling for about one week. What Is the Best Effective Treatment to Remove Brown Age Spots on Medium Brown Skin Tone? Removing freckles or pigmentation on darker skin types can be tricky however certain treatments can be effective. Non ablative fraxel or QS lasers can work for pigmentation depending on the skin type and ethnicity of the patient. Does Sun Damage Cause All Brown Spots? Mostly yes, but certainly not all of them. It also depends on what is referred to as brown spots. Some age spots are brown in colour and have little to do with sun exposure, however most pigmentation in the skin results from years of accumulated UV exposure. How to Remove Brown Spots from Face? The most common treatment is IPL for facial lentigos, however Q-switched lasers can also be very effective in the right patient. Get friendly and affordable help with your cosmetic skin problems here at our full-service Kelowna skin care center. Our clinic has been serving the Kelowna area for many years now, and is currently headed by the experienced and certified Dr. Craig Crippen. Dr. Crippen has been assisting patients with their cosmetic skin problems for over a decade, and in that time, has built DermMedica into one of the most successful local skin care and vein clinics in Kelowna. We encourage you to call today with any questions you have about our skin treatment services. We can help with many more problems than just those listed here, and we would love to discuss your needs and options during a no-obligation consultation. Call now to get help, or keep reading to learn more about the cosmetic skin problems that are treated here. We use the latest methods and the most non-invasive technology possible to help you achieve the skin you’ve always wanted. Please call our office to get help with these conditions. You can click on any of them to learn more about the treatments we offer. Acne is a serious problem that affects adolescents and adults alike. While it’s nearly impossible to predict who will suffer from outbreaks and when they will happen, proactive treatment can prevent permanent damage such as acne scars from appearing. We offer three different acne treatments, which we’ll recommend based on your circumstances. 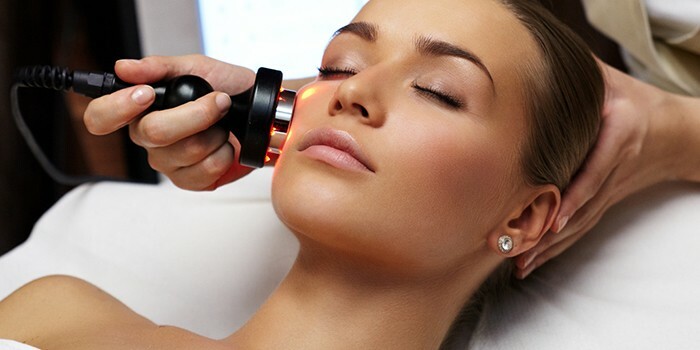 The V-Beam Laser: Our pulsed dye laser is used for many of our skin treatments, and it is effective at reducing the visibility of all kinds of red marks on the skin. You may be able to see differences immediately, but 3-4 cycle treatment schedules are usually the most effective. The Fractional Affirm Laser: This gentle treatment is non-ablative, meaning it doesn’t remove any skin. While non-invasive, it can be incredibly effective at reducing scar tissue and redness in general. The Fractional CO2 Laser: This laser works by heating the moisture in skin cells, accurately removing small layers of the skin to expose the fresh layers beneath them. It’s an effective way to restore the original youthful look to skin that has been damaged by acne scars. No matter which of our treatments you’re considering, you’re in good hands at DermMedica. Dr. Crippen is completely certified to administer all of these laser treatments, and he has been helping Kelowna and the the BC area with acne scar treatments for many years now. Brown spots are a very common condition that we can treat very successfully here at DermMedica. You may have heard them called age spots or liver spots, but they have nothing to do with your liver, and they aren’t always brown. They most often appear on people with light complexions, on areas that have received a lot of sun exposure. You’ll need to schedule a consultation to learn which treatment will be most effective for you. No matter which one you choose, you’re in good hands. Dr. Crippen is professionally certified to administer all of these treatments, and he has been helping patients with brown spots in Kelowna for many years. Here at DermMedica, we treat cellulite with the Accent Rf system. This advanced “radio frequency” system uses gentle heating to break down and reorganize collagen. Cellulite may be noticeably improved as soon as the treatment is finished, and results should become even better over the next couple months. When the supporting layer of the skin on the face begins to deteriorate, it’s called facial volume loss. Wrinkles are the most common result, but you may be unhappy with the look of your lost volume for many reasons. Fortunately, we have an effective treatment available. Dr. Crippen prefers the use of gentle and adjustable HA (Hyaluronic Acid) fillers. Advantages of this treatment include effective results with no surgery, no downtime, and easy adjustment. They can even be removed easily if the results don’t meet expectations. Dr. Crippen recommends Juverderm fillers, and there are many of them to suit your needs. It’s often impossible to target the fat in the exact location you want. Even with the right diet and exercise, some spots are simply stubborn. If you’re trying to target fat around your waist, thighs or anywhere, we may have the perfect treatment for you. Coolsculpting is a completely non-invasive treatment that eliminates stubborn fat deposits by freezing the fat cells underneath the skin. You’ll barely feel a thing, and you’ll be able to go about your normal tasks as soon as you walk out of the treatment. The frozen fat will collapse as it warms again, and will be removed naturally by the body. There are many different sources for unwanted hair growths. Most of them come back to genetics, though hormones, gland disorders and other problems can also play a role. No matter the placement of your unwanted hair, we can help you quickly. We offer permanent laser hair removal here at our Kelowna skin care center. Our laser damages the hair at the root, so it falls out and doesn’t come back. You’ll need to schedule a consultation to find out if laser hair removal is the right treatment for you. Moles and skin tags are a frustrating problem with a quick and relatively painless solution. Slightly different treatments apply for these conditions, but both of them can be handled in a single visit with very little recovery time. Depending on the size and location, Dr. Crippen can remove the growth with either surgically or with a laser. A consultation with an examination will be necessary to determine which treatment is the best for your case. Sagging skin is a predictable consequence of aging, though the speed at which it develops can be based heavily on the choices you make. You’re most likely to have problems with sagging skin if you’re a smoker, or if you spend a lot of time out in the sun without adequate protection. No matter the reason, we have a range of treatments and therapies available that can help you restore a youthful look to the skin on your face. Schedule a consultation today, and we’ll be able to tell you which of these popular treatments is the best for your case. 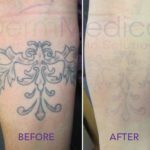 DermMedica has been serving Kelowna with laser tattoo removal services for years, and it’s only gotten better. Modern laser removal systems destroy the ink while it’s still in the skin. The ink dissolves and is naturally disposed of by the body. Dr. Crippen is professionally certified to administer cosmetic laser procedures. When done properly, these procedures are very effective at removing tattoos with no scarring. Schedule a consultation today to find out what kinds of results are possible for your tattoo. Thin lips are a problem that affects many people for many reasons. You may be experiencing thin lips as a result of genetics, smoking, sun exposure or simply just age. While it can be a hard problem to avoid later in life, it can still be easily treated. Here at DermMedica, Dr. Crippen uses Juvederm fillers to restore volume to thin lips. These adjustable and reversible injections look great almost immediately, and the procedure requires no recovery time. Set an appointment today to learn how we can help you with thin lips. Wrinkles are one of the most enduring cosmetic challenges, and we approach them with a suite of different treatments. Some wrinkles are simply a product of age, while others can be more closely correlated to things like family history, smoking habits and sun exposure. You’ll need to schedule a consultation to find out which one is right for you. Dr. Crippen would love to speak to you.